1. The face of the adulterer loses countenance. 2. He falls into depravity and destitution. 3. His death draws near. 1. He is liable for Divine anger. 2. His reckoning is severe. 3. He abides forever in Hell. Fornicator in the Barzakh The fifth Imam (a.s.) has also said, "Whoever commits Fornication with a Muslim, Jew, Christian or Magian woman, whether she is a slave or a free woman; and dies without repenting of his sin, then the Almighty Allah opens three hundred doors of punishment in his grave. From each door many snakes, scorpions and pythons emerge from the fire and burn and torment him till the Day of Qiyamat." Fornicator on the Day of Judgement Imam Muhammad Baqir (a.s.) describes the fornicator in detail and says that when he would be raised from his grave on the Day of Judgement he shall be in a horrible state. The Imam says, "When a fornicator will rise from his grave the stink of his body shall hurt the people. The people will know what deeds he had committed in the world. Till the Almighty Allah would order him to be thrown into the fire." 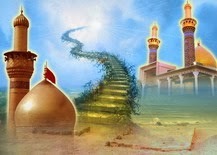 Then Imam Baqir (a.s.) continues, "Know that Allah has prohibited Himself the haraam things. He has also prescribed the rules and regulations of life. No one is more modest than Allah. It is His modesty that He has prohibited Fornication."